HFD provides hardwood flooring installation services of unmatched quality and exceptional look. Our extensive experience equips us with necessary skills and knowledge to install hardwood flooring ranging in different species and styles. 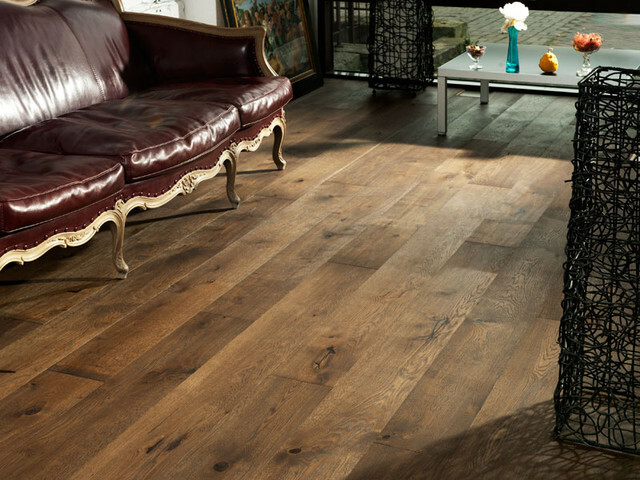 We install flooring patterns inherited from the Victorian Era as well as the ones influenced by the contemporary design. Whether it is a French Versailles pattern or a wide plank sixteen-footer, our master craftsmen will ensure the desired quality. Step 1: Our installation process begins with evaluation of the job-site to identify potential problems. It is crucial to take necessary precautions and steps to insure a quality installation. Some of the job-site main impacting variables are moisture content, subfloor condition and proper ventilation. Step 2: After making sure that the job-site conditions meet the requirements, we deliver the flooring. It is important to allow enough time (usually a week) for the flooring to acclimate to the current job-site conditions. Step 3: We perform moisture test on hardwood flooring, as well as the subfloor before starting the installation. Only after insuring that all conditions meet the requirements, we will start hardwood flooring installation.